You’ve probably seen the sign that adorns office cubicles, “You don’t have to be schizophrenic to work here, but it helps.” That touch of humor might well describe the dual roles of the author of a memoir. Ruthie Kott, writing on Gaper’s Block, illustrated the different ways memoirists must approach telling their stories. 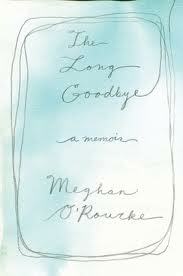 Megan O’Rourke, former fiction/nonfiction editor at the NY Times, current culture critic for Slate, and author of The Long Goodbye of her mother’s death from cancer, explained that in her Slate pieces, she said, "I was present, but I didn't give my full life story." But in a memoir, "You have to be willing to put yourself on the page." Indeed the author is indeed a principal character. On the other hand, Rachel DeWoskin author of two novels and a memoir, Foreign Babes in Bejing, based on her experiences as the star of a Chinese night time soap of the same title said, there’s more to it than that. The author is also the memoir’s narrator. "The narrator has certain wisdom that the character lacks," said DeWoskin. How does an author balance these two roles? Gore Vidal, in his memoir Palimpsest advised us to realize that “A memoir is how one remembers one’s own life.” The writer is not simply reporting events in which he participated. He’s editing the story to get at its meaning. Not everything that happened deserves to wind up on the printed page. Phillip Lopate, essayist, writer and poet and author of The Art of the Personal Essay explained that the author must impose a coherence on events he chooses to include that may not have been present as he lived them. It’s that selectivity that transforms a memoir from a report to a reflection which gives meanings to the events which might not have been evident to the author as she lived them.